I’ve given up email. Well, almost. At the weekend I set up one of those auto-reply messages, informing my correspondents that I would no longer be checking my emails, and that instead they might like to call or write, as we used to in the olden days. I used to eat burgers and steak, and I would just be knocked out afterward; I had to give it up. Well, I used to be a compulsive exerciser, but I’m over that. 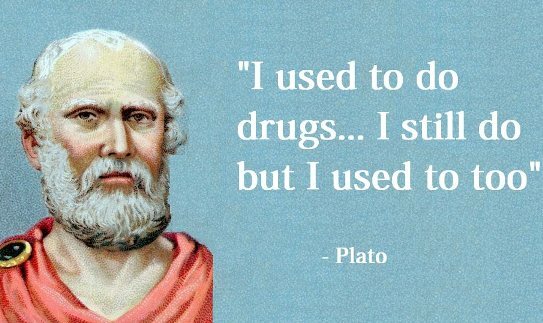 I used to do drugs… I still do but i used to too. One of my assistants found this old German machine. It was originally used to make underwear. Like Chanel, who started with underwear fabric – jerseys – we used the machine that made underwear to make something else. Now, we used to say we put on our tights to put on the world. So I don’t think it tarnishes the image at all. We used to get one room and we’d park the vehicle outside, everybody would all take showers and we’d steal towels because we knew we wasn’t gonna have enough towels for all five of us to shower. Before, I would play a little hoops, a little tennis. Now it’s more yoga, Pilates, stretching, some light weight work, push-ups, sit-ups, resistance things. When I used to live on the eleventh floor, I would take the steps. I don’t do that so much now. I’m taking the elevator a bit more these days. Motherhood has helped me to stop overanalyzing things. It’s been liberating because I used to be somewhat neurotic. I attribute that to having something bigger than myself.